Prior to the Internet becoming the breeding ground for new poker players, the final table of any major poker tournament was by and large dominated by a middle-aged crowd. Grizzled men who had played hundreds of hours of poker in the backrooms of bars and in smoke filled casinos. The people who played for the WSOP Main Event title and could legitimately call themselves poker pros were a lot closer to getting an AARP card than a college ID. The reason for this was experience. No matter how intelligent and hard working you were, before the Internet poker era the only way to get the necessary experience was to sit down and play poker for a good 10 years or more. Due to experience and the fact that the survivors had proven their abilities while the pretenders fell by the wayside, seasoned veterans were poker’s top dogs. It wasn’t that there weren’t young talented players in the game with better stamina and a hunger to improve, but pre-Internet poker they just couldn’t get the experience they needed without putting a good 10 years at the tables, although a few outliers managed to excel. But then, along came the Internet. Players can now put in a lifetime of hands in less than a year, and the asset of age (experience) has been all but erased. The younger, fitter, players who are not set in their ways, and constantly experimenting with and working on their game, now have the edge because the older players no longer have an edge in experience. In fact, a 21 year-old Internet player with three years of experience has likely played more hands of poker than Doyle Brunson or Phil Hellmuth, perhaps combined. But it’s not just that the Internet allows players to gain rapid experience that has led to an influx of young superstar players – considering it would be just as easy for a 30 year-old to get just as much experience just as fast – so there must be something else to it? 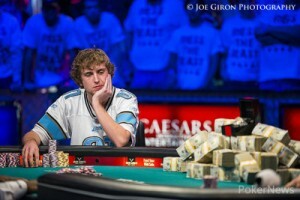 Here are three more reasons poker has become a young person’s game. One of the main reasons young players excel at poker is they are perfectly suited for the poker lifestyle. The need to travel, the need to stay out late at night, or the need to put in marathon sessions and not have to worry about calling home or having other obligations, is a lifestyle tailored to younger players. Most poker games go on the weekends or at night, which is precisely when you are supposed to be home with your family, something most thirty-somethings have. Furthermore, the more financial responsibilities you have (Read as: the more bills and financial obligations you have like kids) the more consistent you’d like your income to be. Once you have these bills it’s hard to quit your job and give poker a go – College kids don’t have to worry about bills and quitting a career to pursue poker. Younger players are less likely to be tied down to a mortgage, a job, or a family, and this makes them better suited to pursuing a career in poker. On top of having to be there for other people, the mental highs and lows of poker are simply not very conducive to family life. Not only do you have to find time to go to family events, but it’s hard to concentrate on your daughter’s dance recital or your son’s basketball game when you just finished up a session that left you $5,000 in the hole. It’s easy to snap at your kids for not cleaning up their room after a 500BB downswing, and it’s easy to buy that $500 LEGO set after a nice win. No matter how strong your money management skills are, for most people the wins and losses cause peaks and valleys in their mood that make existing in a normal family quite difficult. Playing poker has always required mental stamina, and mental stamina requires physical stamina, and physical stamina is more likely to be found in the young. It’s a simple fact of life that as you get older your body and your mind don’t run as well as they used to. 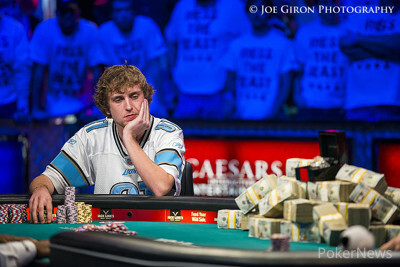 Poker sessions are often extremely long, especially major tournaments like the World Series of Poker. Younger players have the edge on this front, all day every day, so it should be unsurprising that once the experience gap disappeared (thanks to the Internet), younger players would dominate the live tournament scene.